SOLANA BEACH — If all goes as planned residents will soon have easier access to San Dieguito County Park after council members approved conceptual design plans at the Nov. 12 meeting for a new pedestrian entrance. 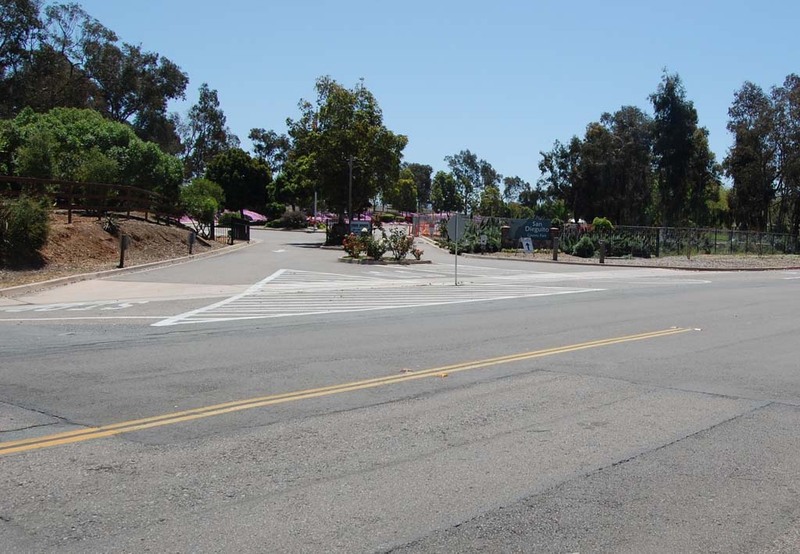 In response to a request from community members, Solana Beach staff about two years ago asked representatives in San Diego County, in which the park is located, if a pedestrian entry gate could be added at the corner of Lomas Santa Fe and Highland drives. County officials said no, citing safety concerns. Because the park includes a manned kiosk “they wanted to have a visual unobstructed view of the entrance to the park at all times,” City Engineer Mo Sammak said. County Supervisor Dave Roberts, who lives not far from the park, a few months ago contacted city officials to see if they were interested in revisiting the idea. “The public safety issue went away, I guess,” City Manager David Ott said. The county wanted to eliminate parking in a dirt area on Highland that is on city-owned property. Mayor Tom Campbell, Councilman Mike Nichols, Ott and other city staff members met with Roberts onsite several times to develop a concept that would change but not eliminate parking spaces. The proposed design includes less parking on the southern end of Highland, diagonal parking on the east side of Highland closer to the park entrance, a pedestrian gate at the southwest corner of the park, a path, a trail and drought-tolerant plantings. Some diseased eucalyptus trees will be removed. Roberts said other than the landscaping the county will pay for the improvements. Although the pedestrian gate is a little farther north on Highland than the city would have liked, people seemed satisfied with the proposed location. “I have addressed you and the San Diego County Board of Supervisors many times over the last seven or eight years asking for a pedestrian gate to be installed at an appropriate location along the west-side fence,” 30-year resident Roger Boyd, who lives close to the park, said. “My request will be satisfied tonight if you approve this item. “Pedestrians from the adjacent neighborhoods currently have to walk to the automobile entrance or walk around the end of the fence in order to gain access to the park,” he added. “Those with small children must now push their baby strollers to the automobile gate in order to enter the park. “We do appreciate him helping to beautify this corner of our city,” Nichols said. “The goal here from the outset obviously was to provide pedestrian access along that frontage, which I think would be accomplished by this plan. Nichols said the 24 parking spaces have been reallocated to provide for more attractive landscaping. The initial estimate for the plantings is $100,000, but Nichols, a landscape architect who will continue to be involved with the project, said that cost can be reduced significantly. Ott said if county money approved by January, construction could begin in February.